The Stacy Adams Madison Cap Toe Oxford combines decades of Stacy Adams heritage into a single shoe that is a guaranteed showstopper. Complete with woven print and kidskin leather uppers, this shoe tells its own story. 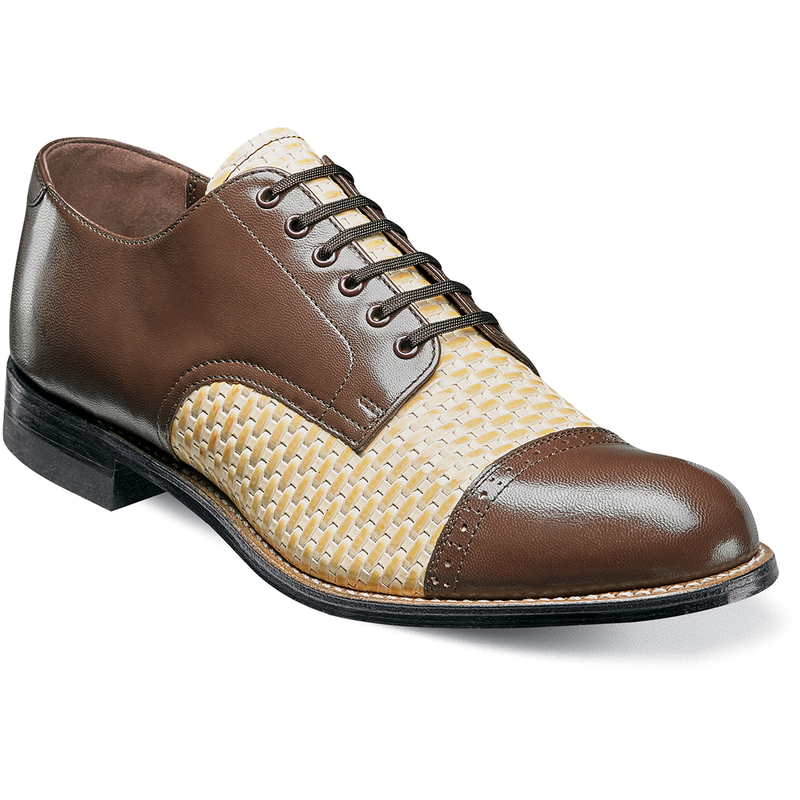 The Madison is a cap toe oxford. The upper is woven print with kidskin leather. The linings are kidskin leather. The sole is leather and is crafted with genuine Goodyear welt construction.